ACCOMPLISHMENT: Threw four touchdown passes and ran for a fifth as the Mustangs rolled over Central 48-6. 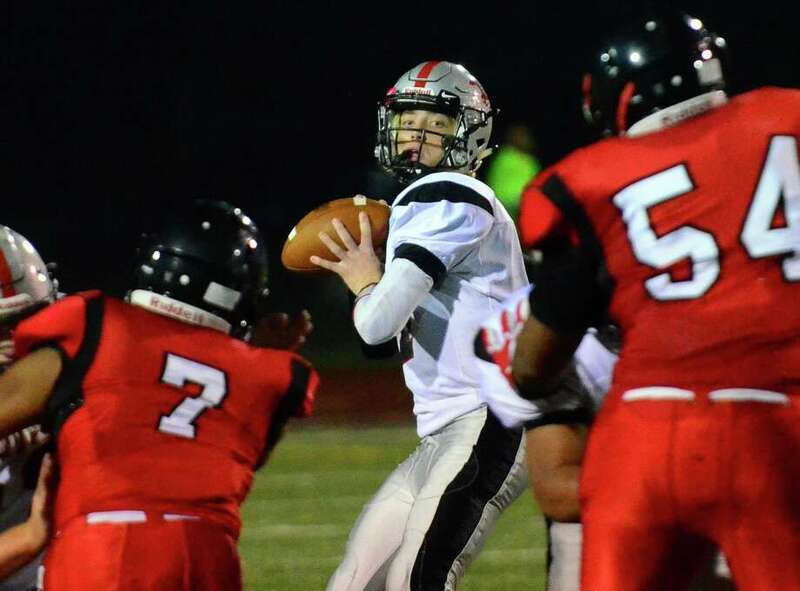 Gublin threw TD passes of 10, 12, 26 and 33 yards and also scored on a 4-yard run as Warde improved to 2-2. For the game, Gublin was 7 of 14 for 139 yards. ACCOMPLISHMENT: The Falcons’ captain is off to a hot start over the opening eight games, posting 32 service points, 21 kills, 25 aces, 20 blocks, 29 digs and 189 assists, leading Ludlowe to a 7-1 start. In its most recent win over Trumbull, Traum had 13 service points, 4 aces, 2 kills and 22 assists.